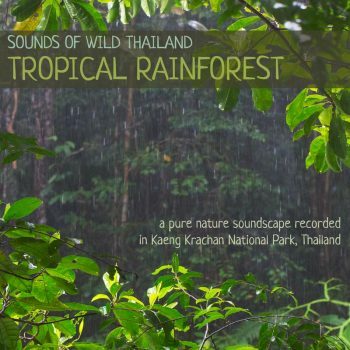 A nature soundscape album featuring the sounds of rain and thunder alongside birds and wildlife in Thailand's rainforest. 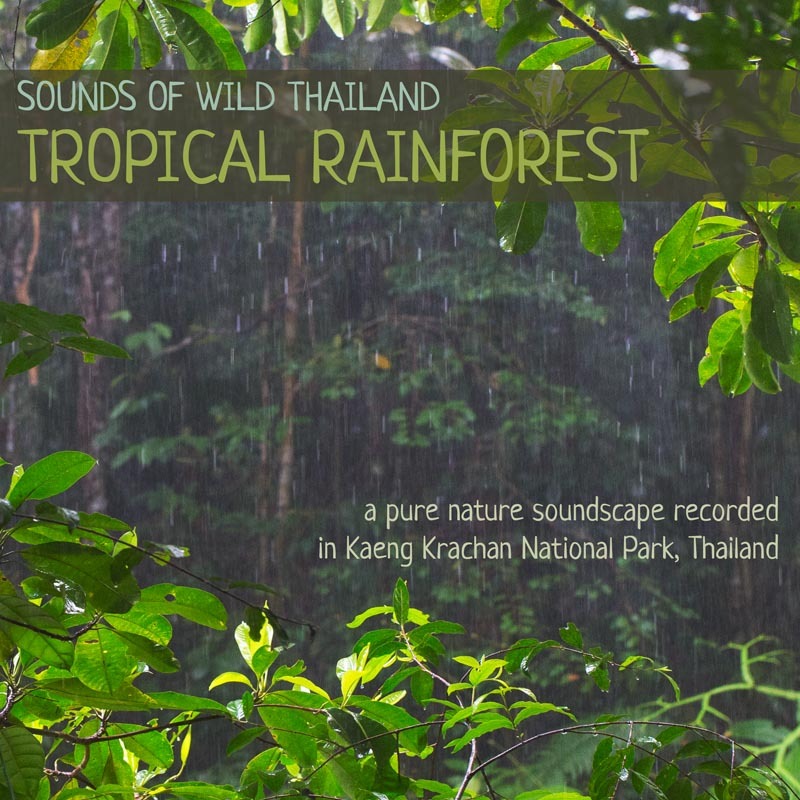 Kaeng Krachan National Park protects an immense area of wilderness (almost 3000 square kilometres) & is a great place to record sounds and photograph nature. 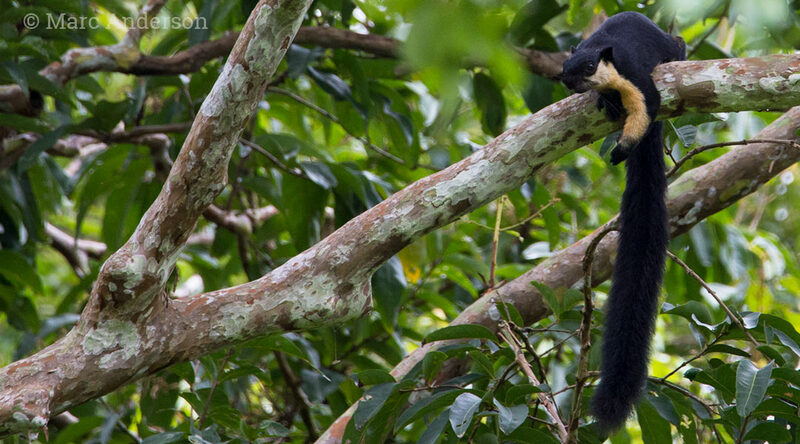 It is teeming with wildlife, including wild elephants, tigers, leopards, bears, gibbons and about 400 species of birds, although they are not all so easy to see! 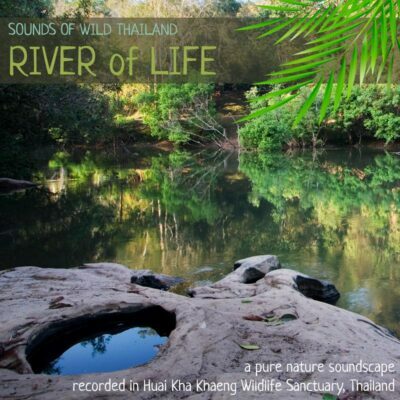 This album is first in the series ‘Sounds of Wild Thailand’, and features natural soundscapes recorded inside Kaeng Krachan National Park in 2014. 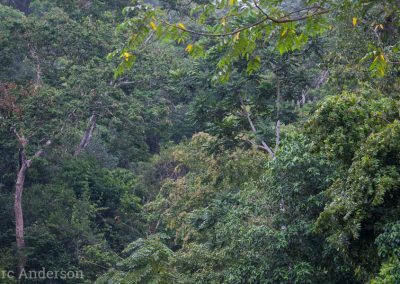 The sky starts to lighten, but it’s still dark under the canopy of the rainforest, and the heavy cloud grumbles with thunder. The dawn chorus is dampened by a morning rain shower which soons lightens and the birds become active again. 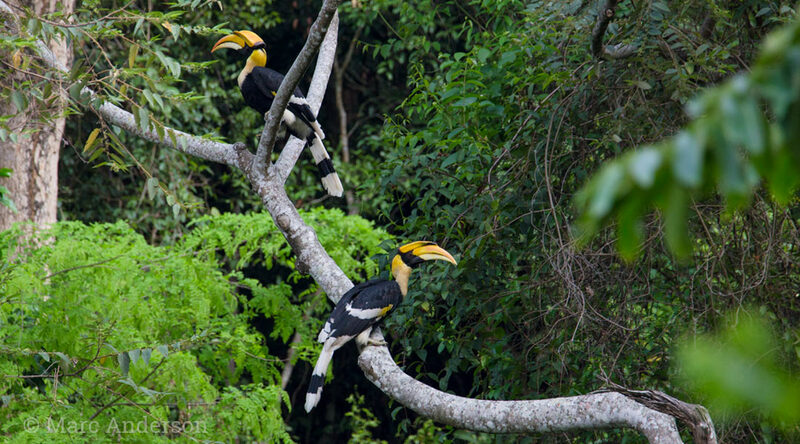 Great Hornbills can be heard nearby, their deep honking calls bellowing through the forest. 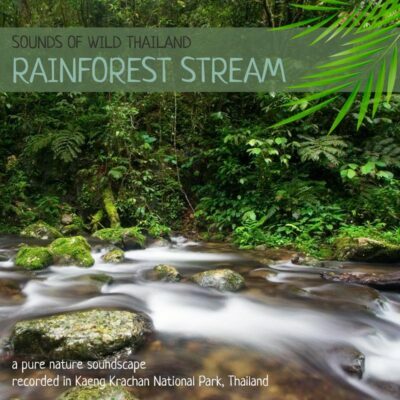 About 30 seconds into this track the heavy wingbeats of a hornbill can be heard as it flies overhead. 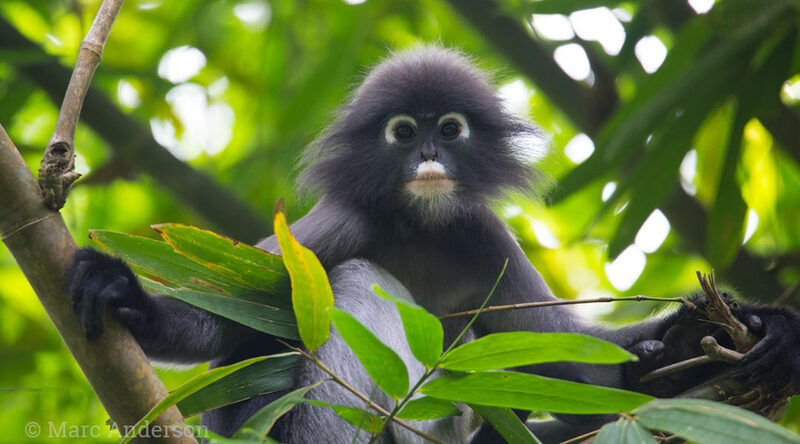 As the rain lightens, White-handed Gibbons start to call occasionally from the canopy. Gentle rain sets in again and the birds remain active. 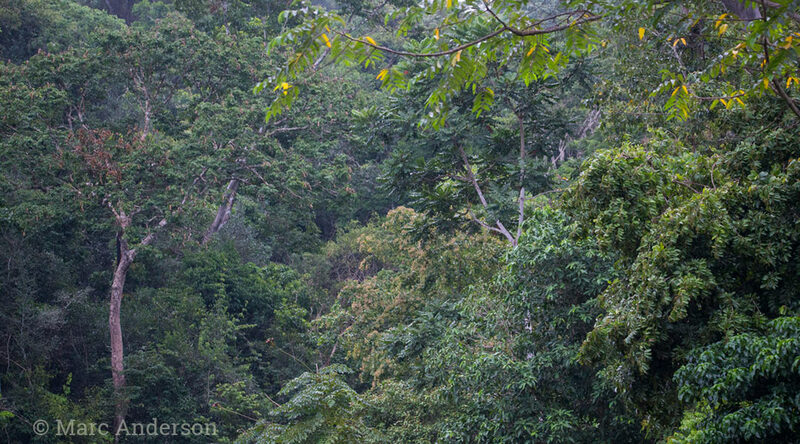 The soft cooing call of an Emerald Dove adds a delicate rhythm to the soundscape as do the occasional pulses of cicadas in the background. 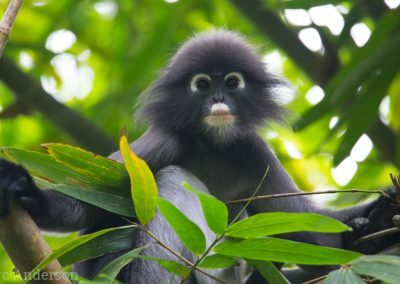 At 12:20 Dusky Langurs occasionally grunt in alarm at some unseen predator. 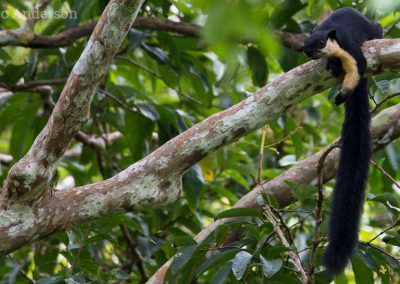 Gibbons begin singing again. 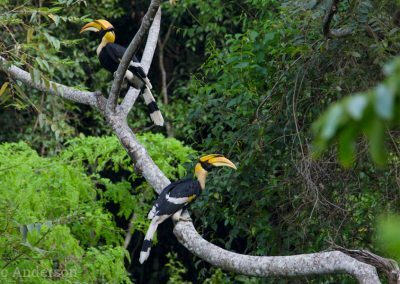 A pair can heard duetting with the female making her distinctive sweeping great call, one of my favourite sounds of the Thai rainforest. 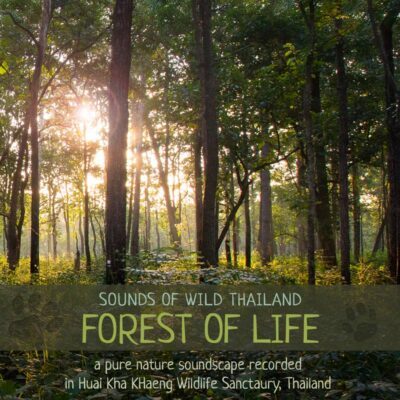 White-handed Gibbon, Black Giant Squirrel, Dusky Langur, Green-legged Partridge, Oriental Pied Hornbill, Great Hornbill, Common Emerald Dove, Red-bearded Bee-eater, Blue-eared Barbet, Large-Scimitar Babbler, Greater Racket-tailed Drongo, Puff-throated Babbler, Abbott’s Babbler, Ochraceous Bulbul & many more!